The City of Williston has experienced significant growth in the past couple years due to the recent increase in oil exploration. This has caused an influx of people and industries to move to Williston to support the oil industry. 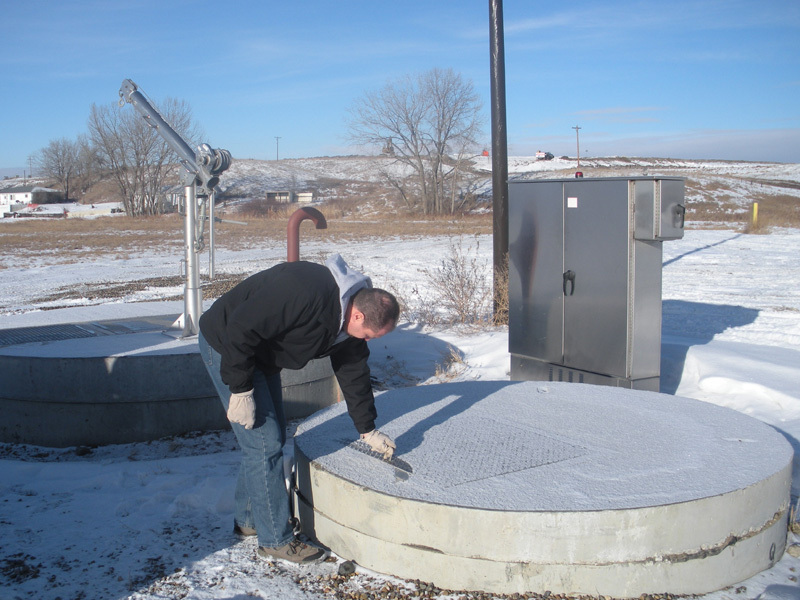 As a result, many areas outside of the Williston City limits have requested access to City sewer service. 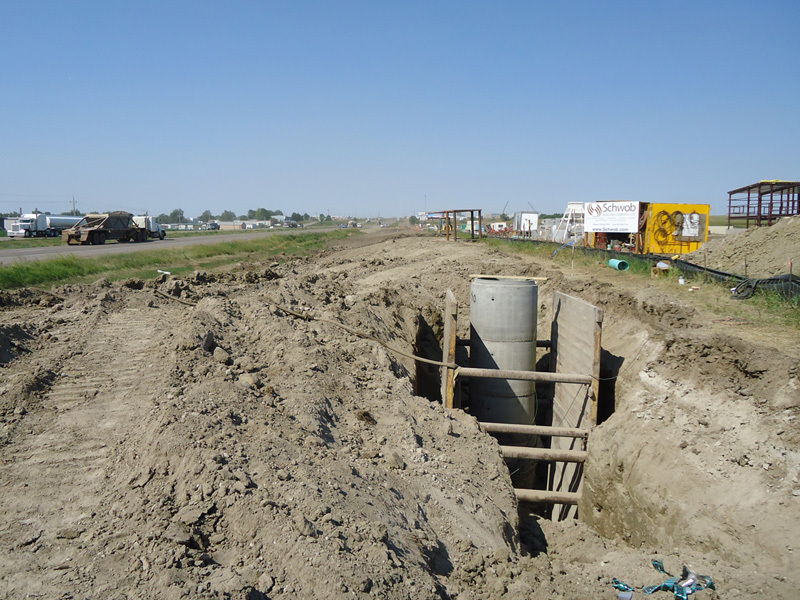 The City of Williston asked AE2S to assist with the planning and design of this work. AE2S maintains the collection system model for the City and is continuously updating the model as development plans become reality as well as identifying possible options to provide sewer service to additional expansion areas. 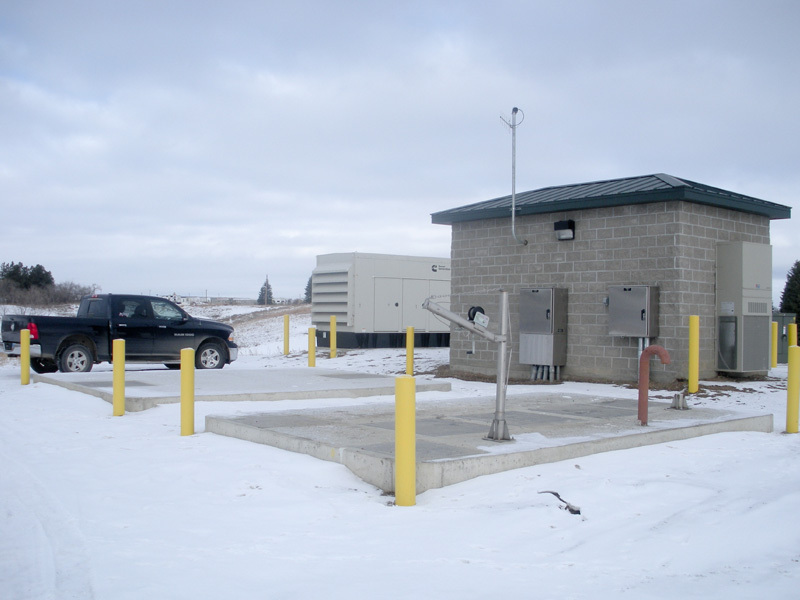 For the Williston West area in particular, there were various options presented included varying capacities, routing, and phasing of the sewer system. 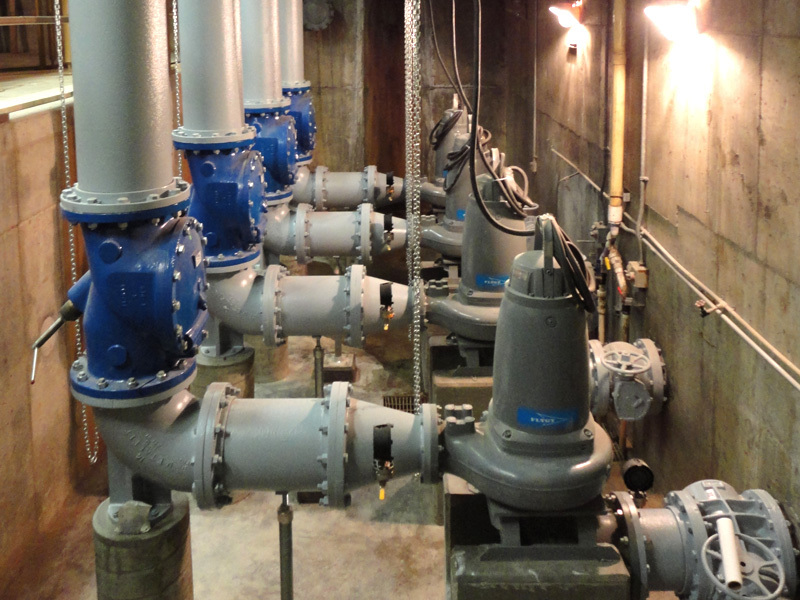 This provided the City with the ability to select the option that matched their immediate needs and also the ability to have future capacity, while also being able to phase the project in manageable segments. 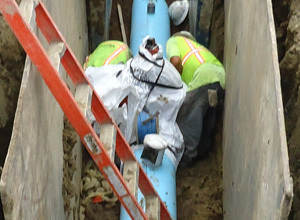 The City elected to select the Williston West option which included installing a main trunk sewer pipeline parallel to U.S. Highway 2. 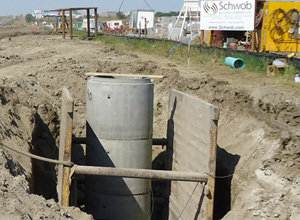 The sewer collection system was modeled and sized to serve the entire area west of Williston and was designed and routed to maximize the areas that could be served by gravity. 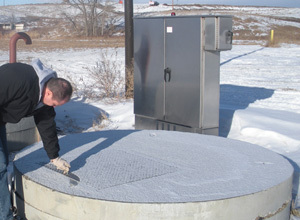 An interim lift station was designed for 275 gpm and connected to the existing collection system with approximately 5,500 feet of 16-inch forcemain. 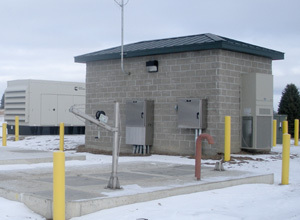 The interim lift station capacity was sized to match the available capacity of the existing collection system connection. 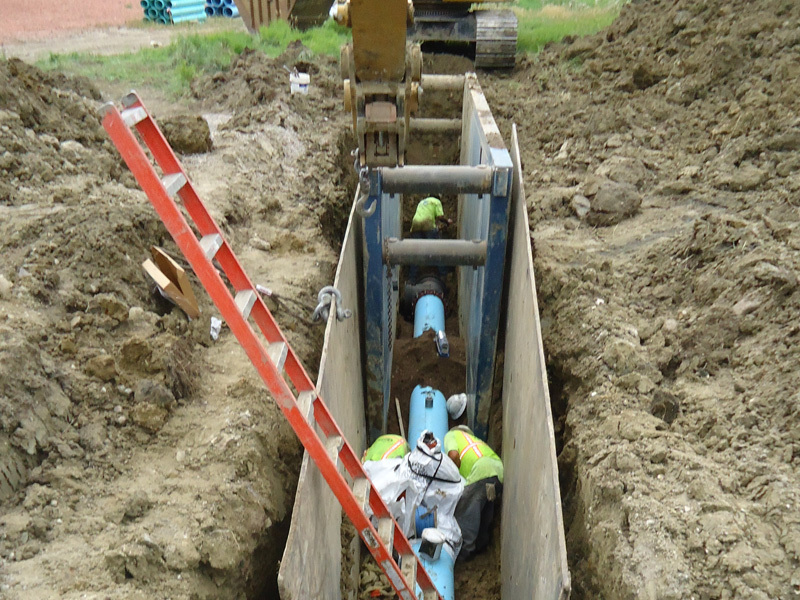 This pipeline is sized for the maximum buildout of 4 MGD, and the future extension is being planned for construction in 2013 to convey Williston West flows directly to the WWTF. 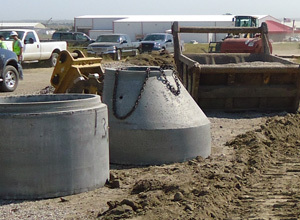 The lift station and forcemain were designed to easily accommodate this future work. The Williston North lift stations (800 gpm and 1,200 gpm) and associated gravity mains (8,000 feet) and forcemains (9,400 feet) including significant directional boring installation (4,900 feet total) will open up nearly 1,000 acres of additional development. 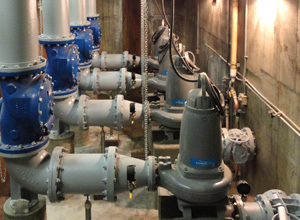 The larger lift station was also sized for a future capacity increase to 2.200 gpm. 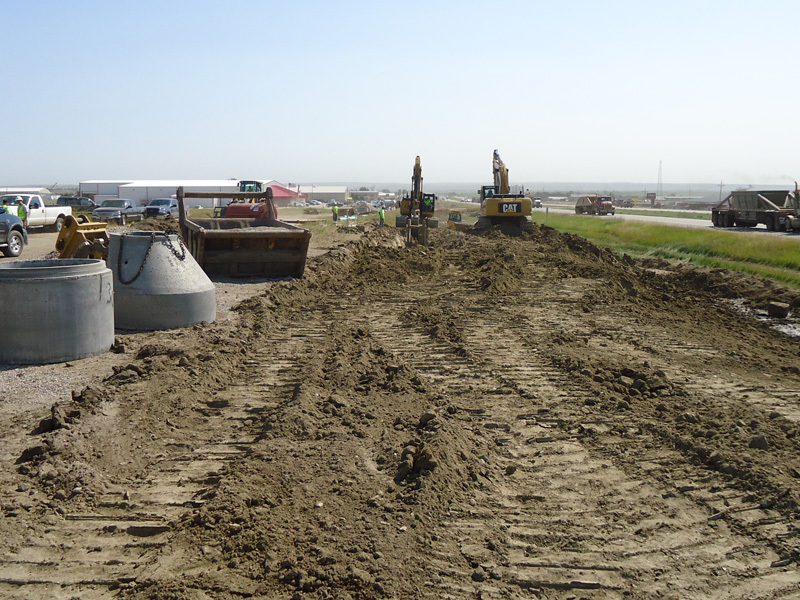 The initial development is the 550-acre Bakken Industrial Park developed by Granite Peaks LLC. Due to the significant impact to Williston by the oil industry and the need for large commercial building sites, the initial 240 acres was completed on a fast track, taking only three months from the start of surveying to completion of design plans and acceptance of construction bids.